Having worked in help-desk roles in the past I know the importance of knowing which user has logged onto which computer. Its simple stuff really, but unless you have 3rd party systems like System Center 2012 (SC12) or client agents, its either hard or time consuming to find out the relation between users and computers. What we needed was an easy way to find out what the last logged on user was for every machine. In our particular environment we had this very need even more so as we adopt automatic operating system deployments that use generated computer names containing serial numbers. Our support staff could now go to Active Directory and see useful information populated in the description field for all computers. Originally we were hoping to use SC12 reporting but it was too slow and cumbersome to bring up details. 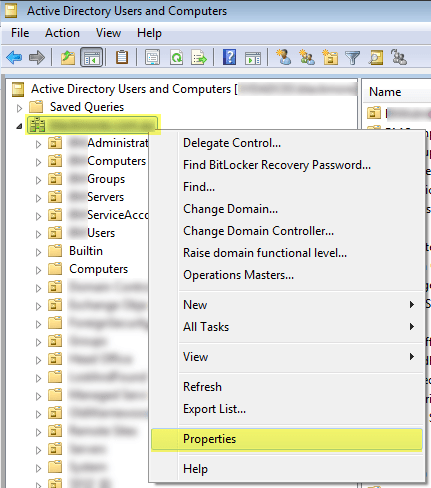 For this simple task I tackled it simply with a log-on script and a small amount of config to Active Directory. Below are the list of requirements we had for our environment. Date – Note I do not use this, but have added it to the script for some that may want to. There is a lot more information that we could have included, both from WMI and Active Directory easily but we did not have a need for it. Im happy to modify the script if someone can think of something useful to add. Active Directory uses Update Sequence Numbers (USN) as its primary mechanism to control replication between Domain Controllers. Each time a change is made on an object (like a computer) the attribute on that object (uSNChanged) increases. Changing the description of a computer object increases the uSNChanged value which allows it to replicate to other domain controllers. 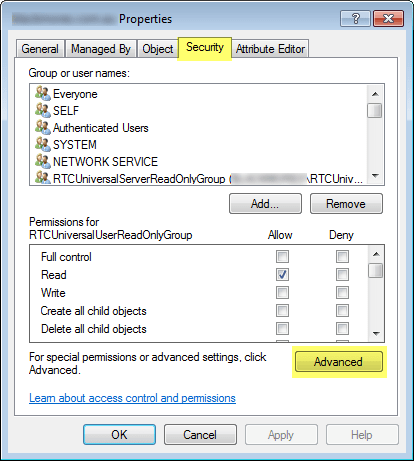 There is a limit to the amount of USN’s that an Active Directory object can have, and this script can cause the USN limit to be reached in a large environment. To counter this problem the script does not change if the value is the same, therefore the majority of object descriptions will stay the same and not affect the USN count in a dramatic way. If you were to include a time/date stamp (for example) in the description field, ever time a user logs in it will increment the USN. if you have 20000 workstations and run this script daily you could exhaust your USN count within a couple of years. WS12 has some differences in this space with the new Active Directory system. So to sum the above up without scaring you too much, if you have a small environment and little AD changes you could put in the date and you probably wont have any problems for the next 20 years, but if you are a large organisation you need to consider this. I have a smaller environment but still chose to not include the date because I did not find it useful. I would rely on SC12 to provide me with more detailed information if needed. Click on Add, and enter ‘Authenticated Users’ in the text box. Click ‘Check Names’ then Ok. 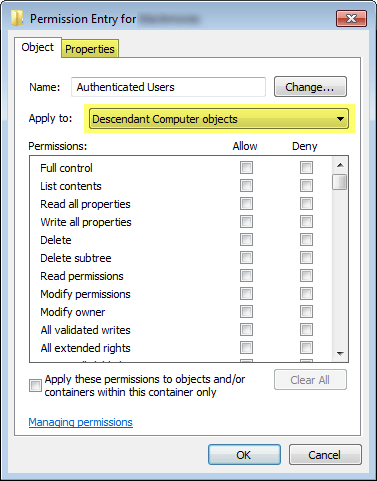 Select ‘Descendant Computer objects’ from the Apply to drop-down box and then click on the ‘Properties’ tab. Tick Allow next to ‘Read Description’ and ‘Write Description’. Note we need the Read Description property to allow the script to compare existing variables with newly generated one. Once you have followed the steps above, any authenticated user can update the description field, either with the below script or using another method. From a security perspective I think this is acceptable for almost all environments. By far the easiest will be using Group Policy. 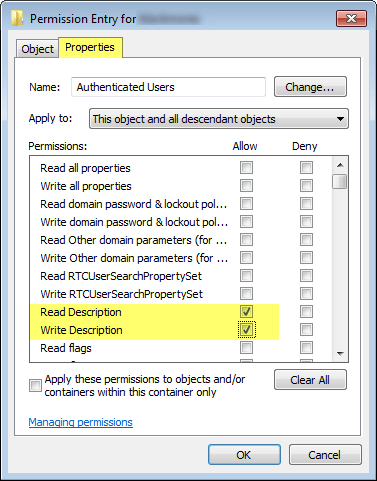 This wont be documented here, but basically you create a new Group Policy object, and under the User context you configure the log-on script. Note you do not configure it in the computer context as it will not know who the user is.
' descriptions that dont get overwritten.
' the serial removes any spaces.
' computer description changes can cause AD change limits to be reached. 'First one is without dates and second is with dates. Below ar examples.
' req (just in case).
' identical. This saves AD change count.
' strDate = Year(Date) & "/" & Month(Date) & "/" & Day(Date) & " | "
For those not familiar with VBScript you need to copy the above script to a text editor and save the file as with an extension of .vbs. Attached is the original vbs script file for reference. Be sure to rename extension of file. When you say a copy ‘n’ paste, how did you do that? When you load this page, go to the code and in the top right corner of the source code click the first icon. It will open a new window with the raw text for you to copy/paste in. This code i have used almost exactly with no problems on my end. The code you posted above is different to mine, where you have added SMBIOSAssetTag. I believe the problem may occur if there is no AssetTag value so you need to either do some validating or give the variable a value before you commit it to objComputer.Description. Ivan i have tried this script in my environment(All computers are Win XP SP3) and it works fine for some computers and for some it gives following error. I really appreiciate if you could help me to solve this error. Sorry for not looking into this sooner. Have you had any luck resolving this? The left() command can be removed from the script if you like. Note: I did read up around this couple of weeks ago but don’t remember what I found about it. Let me know how you went. If the GetComputerManufacturer variable does not have a space in it, then InStr is going to return 0 and then you’re going to subtract 1 from it, giving your txtCount variable a value of -1 and I’m pretty sure you can’t pass a value of -1 in to the Left function. I think you need to just have an IF statement in there that checks to see if InStr returned greater than 0 before you subtract 1 from it. I could be way off but just thought it might be worth mentioning. I think you are correct – i never expect that field to be blank, however if wmi is not working properly, or poorly made hardware might not have it. I think i revise the script and update it in the coming week. P.S. Im not a programmer – it took me a while to get it to work for me the way i wanted it. Awesome work, all! I’m using this for a few of our clients now. I’ve actually added a section to pull out the installed anti virus product too, as that can be a pain to keep track of. It checks the OS first, as the SecurityCenter value is different from XP to later OSes. As may be obvious, I’m not a scripter though. I’ve done some serious Frankenscripting here, so it’d be great if someone wanted to work it in a bit more elegantly. Nice idea to include AV info, and glad you liked the script. I will look at the code a bit later on. Is there a way to pull the Phone Number Field for the User from AD, and place it after the user’s First Last Name? I do this in my environment as the login can be a couple of different formats, and being able to search for First Last easily by sorting on the Description field in an OU is more convenient . Moving the date, I’m sure is simple, I’ll attempt to move that on my own. I’m not a programmer, so pulling the Phone number out of AD for the User logging off/on might be a bit beyond what my script hacking can accomplish. Hope the below can help – note I have not tested this and will rely on your feedback. The field in Active Directory you want to interrogate is telephoneNumber. Note I have not tested this but expect it to work. 4. Click on a new tab that appears, called Attribute Editor. This will give you the Attribute names that you can call. If you were to include a time/date stamp (for example) in the description field, ever time a user logs in it will increment the USN. if you have 20000 workstations and run this script daily you could exhaust your USN count within a couple of years. WS12 has some differences in this space with the new Active Directory system. If you want the date at the end you would do replace line 56 with two lines below. Lastly, I am not a programmer. I am a scripter who trolls the internet for scripts written by others and mash them together and change them to suit my needs, and that of others. If you are interested in scripting and use Windows machines in your environment, I urge you to learn PowerShell. Very powerful and there are a ton of existing scripts to do many things. If you have any issues with the script above, remember that the “ can be altered by Outlook and web browsers so sometimes it is best to retype them, otherwise you may get syntax errors. Please if you can repost your question on my blog so I can post up the reply for others to have access to it. If the field is blank, I get a “- -” which for my need is fine, and a ‘reminder’ that this user needs a phone number input in AD. Thank you for your assistance on this, very much appreciated! Apologies for the hyphen that was converted incorrectly. As for the double hyphen “- -” this can be mitigated (if you wanted to) with the IF statement that I submitted above. Will your Phone ‘solution’ work ok if and when the phone number field is blank? This should check if its blank and set it to blank. If it exists then it should add a hyphen then the phone number. Again I have not tested any of this so please let me know via the comments. What devices do you use? Hardware wise. Have you tried running a script to see if it comes up manually? I am running it as a login script. We use dell laptops and desktops. Everything else comes in to active directory except the serial #. I will try it manually. So could it be that on your Dells that the serialnumber (service tag) is held elsewhere in the win32_bios class, or indeed in another class? Ivan’s script looks at win32_bios.serialnumber. Try running the following in Powershell on an example Dell. Does the SerialNumber attribute return a value? I got it fixed. 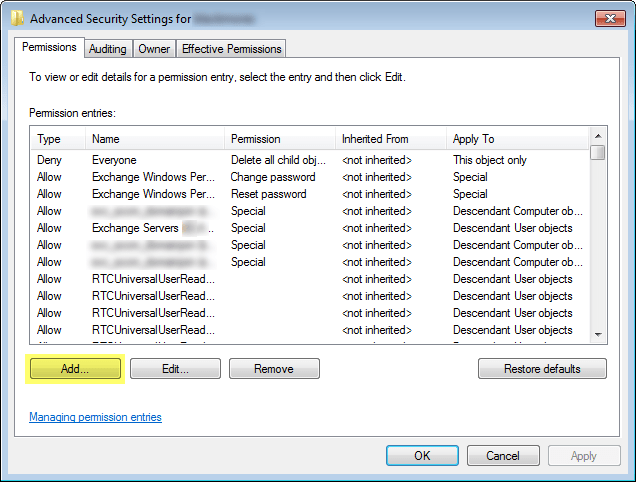 I didnt have read description enabled in active directory. So it wasnt changing results from the other info. Oversight on my part…. That’s great news. I’m glad the script is now working for you. Yes this script lets you do this. what did you want in the Computer Description? Need to pull out the Computer Description value from the local computer System Properties and then populate this into AD computer Description fiels. Does this scrip do the trick? The script does not do this currently but it should be fairly easy to do. Even though the script runs in the user context it should be able to read the local computer description. I’m on holidays now so you may have to reach out elsewhere to get some help. If you find the solution please post it up here. When I write out the username and name it is displaying the computer name in AD description field for both. Have you come across this before? No I have not. What code are you using? How are you executing it? Can you replicate it manually? Can you put break points at all steps and see what the variables are? I am using the code below, when I run the vbs manually on the machine it writes correctly to AD description field. When I run it through log on script or scheduled task upon log on it outputs the ObjUser.SAMAccountName and objUser.CN as the computer name. I was trying to understand why this would happen, and without testing i suspect that the task is being performed as the computer ‘user account’ instead of the actual user account. 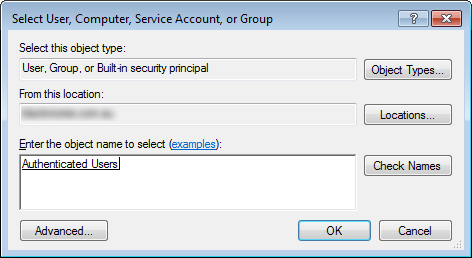 If a scheduled task or startup item is run in the computer/system context then the authentication LDAP user would be the computer account. Can you validate that the tested GPO that you are using is being applied to the user ‘logon’ and not computer ‘startup’? Any idea how to include the ip address in this? Hi Nik, Sorry i missed this. Yes you could include the IP in this as the data is accessible via the script. Where you will get a problem is distinguishing which IP it is that you want. Things to consider are, do you want the LAN IP, or WLAN. If you have VPN client how do you omit their IP details. If you are connected to both WLAN and LAN, do you add both IP’s? As this script is specifically for Domain Joined machines you may have better luck with making sure you have clean DNS and DHCP records at which you can then get their actual IP.